Ron is the founder and president of EnvisionCAD and is an experienced land surveyor, designer, and CADD system administrator. Ron has specialized in MicroStation & InRoads software from Bentley Systems, Inc. and provides configuration, development, implementation and instruction. Ron instructs classes for the InRoads suite of products including InRoads (roadway/site design) and InRoads Survey (survey data collection and processing). His experience with the application of the software for engineering firms is proven to be invaluable resulting in increased productivity. He also instructs classes ranging from MicroStation Basics to advanced applications such as 3D modeling and visualization. Ron received his degree in Civil Engineering Technology from the Madison Area Technical College and became a licensed Land Surveyor in 1981. He has nearly three decades of experience in the management of data for civil engineering design and construction projects ranging from airport development, urban infrastructure design, to environmental sites and facilities. Bob joined the training and consulting firm EnvisionCAD in 2000 and became a partner in June of 2002. 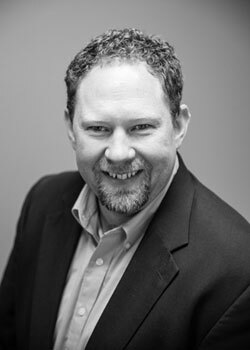 He has specialized in the software MicroStation & InRoads from Bentley Systems, Inc. Mr. Mecham is an industry expert in the implementation, configuration, development, and customization of the two software applications MicroStation and InRoads. Bob instructs MicroStation classes ranging from fundamentals to advanced productivity. He has extensive experience using, implementing, and instructing both InRoads Survey and InRoads Site Design. 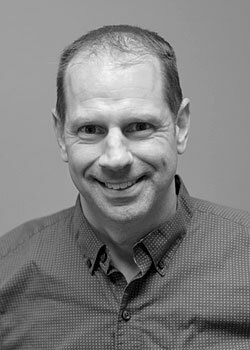 Bob received his degree in Civil Engineering Technology from the Madison Area Technical College in 1992 and has over a decade of experience in the use, implementation, and management of software and CADD systems. He has worked for a wide range of organizations providing services from general survey and engineering services to specific applications such as landfills and site design. Rod joined EnvisionCAD in March 2007 and has nearly three decades of experience working in the CADD industry. He led the IT evaluations of Bentley InRoads and AutoDesk Civil 3D at Wisconsin DOT in their overall CAiCE replacement evaluation. He also led the MicroStation V7 to V8 upgrade effort at Wisconsin DOT which included updating not only the CADD standards to accommodate the changes in the file format but also updating legacy MDL and macros to work in the new environment. Rod received a Bachelor of Science degree from the University of Wisconsin in Cartography and a Master of Science in Geographic and Cartographic Sciences from George Mason University. Rod has extensive experience in CADD as well as the areas of GIS, cartography, plotting, scanning, raster editing/manipulation, publishing, and file/data translations. In all of these areas, he has produced custom tools and developed workflows to enhance productivity between diverse sets of applications. He instructs MicroStation classes ranging from fundamentals to advanced applications. 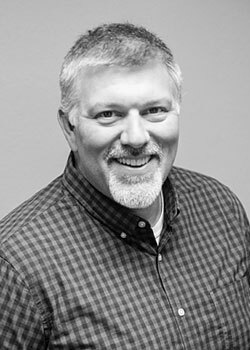 Since completing his degree in Civil Engineering at Colorado State University, Steve has accumulated fifteen years of experience in the AEC industry. His experience spans all phases of design from conceptual to final construction documents delivered on both Autodesk and Bentley platforms. 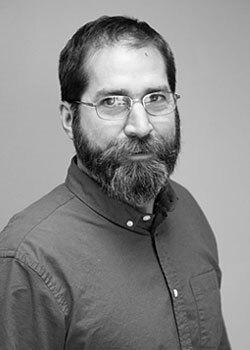 While he specializes in geometric design and modeling of linear projects, Steve has also provided three-dimensional modeling for simple and complex site design projects. Following ten years of civil engineering design, Steve followed his passion for process and workflow into design technology systems support and management. While at a national AEC firm, Steve supported over 150 engineering and design applications, serving as a subject matter expert for numerous applications, including GEOPAK and Civil 3D. 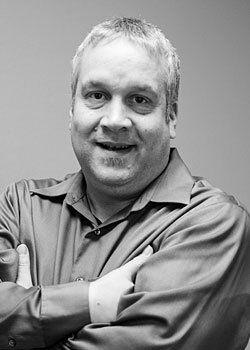 As the Manager of Design Technology, Steve oversaw teams tasked with all aspects of design technology application support from installation and licensing to software customization and training as well as the organization's document management system, ProjectWise. Steve is a Certified Civil 3D Professional, active with the Mid-America CADD Community and has been a speaker at Autodesk University. Eric joined the EnvisionCAD team in March 2012. He provides Civil3D and Autodesk Infrastructure software consulting, management and production assistance. He has specialized in the Autodesk Infrastructure software Civil 3D and provides expertise in the configuration, development, implementation, management, and custom workflow integrations for the software. Eric’s education concentration has been in design technologies. As a Civil CAD Manager, he led the designing and implementing of all of the CADD software procedures and standards, including preparing teaching materials and training all in-house engineering staff Autodesk software up through AutoCAD 2012 and Civil 3D. As a Civil Designer, he has an excellent grasp of three dimensions and strives to understand each project as a whole and as a sum of parts. Eric has nearly two decades of experience in the development and management of data for civil engineering design and construction projects ranging from roadway development, urban infrastructure, to oil and mining sites and facilities. 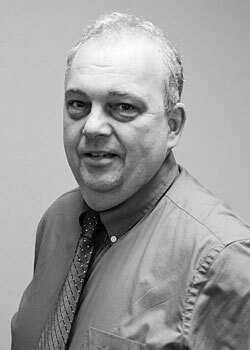 As a civil designer and technician in the Civil Engineering discipline for over 25 years, Patrick has comprehensive experience with Bentley software including MicroStation, GEOPAK, and OpenRoads. Patrick spent the last 10 years as a senior designer working on large-scale traditional and design-build roadway projects for multiple DOT’s. He has extensive experience as both a designer and as a lead technician responsible for all plan production requirements. He also has experience in all stages of roadway design projects from concept to final design. In addition to design and production responsibilities Patrick provided end-user CAD support, trained staff on Bentley products identified CAD training needs for staff and also designed and managed annual training budgets. Steven joined EnvisionCAD in March 2017 He adds Revit and Navisworks consulting to the list of EnvisionCAD’s support services. For the past six years, Steven has focused his disciplinary work on AutoDesk products including AutoCAD, Revit, Navisworks, Civil 3D and Recap. His extensive experience with these products has allowed him to integrate the products with one another and be a trusted resource for design teams. 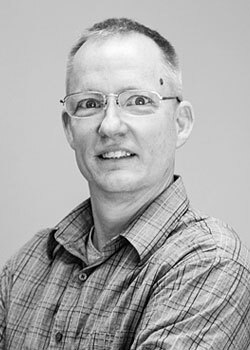 Steven received his degree in Civil Engineering and Construction Management Technology from Hawkeye Community College in Waterloo, Iowa and has since worked as a Survey Technician, BIM Manager, and Revit Modeler. Steven has worked extensively on design-build projects that integrate multiple disciplines into a seamless project, has been on the cutting-edge of laser scanning technology and has developed workflows to aid in the capture and utilization of data sets through laser scanning. Bryan joined the EnvisionCAD team in October 2013. He provides a variety of CAD Management services. As a CAD Technician, he provides expertise in AutoCAD and Civil 3D production, support and development services. He has been using AutoCAD and Autodesk products since 1998 and has used his knowledge of CAD software and internet technology to provide drafting and design support and CAD management services for engineering firms and design-build contractors. Bryan has training in mechanical design and has gained experience in the civil, environmental, and structural engineering fields while working on a variety of projects for state, municipal, and private clients. His project history includes 2D and 3D CAD modeling of waterworks and wastewater systems, transportation systems, floodplain and stormwater management design, landfill design and operation, earth retention design, deep foundation systems and much more. 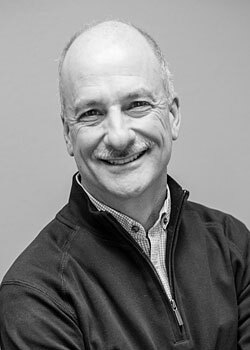 He is skilled in creating plans and documentation for the entire engineering process as it evolves from the initial survey and design, on to the permit process, through the creation of engineering plan sets, cycling through changes made during bid preparation and review, and finally ending with construction and as-built drawings. He is an avid researcher and has never been reluctant to leverage a new technology or evaluate a new solution in order to solve an engineering or production issue. 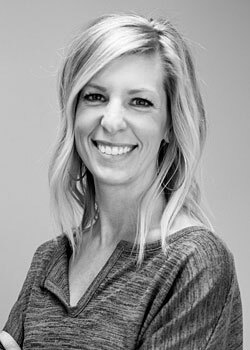 As Operations Manager, Jessica Scheidler is in charge of making sure everything that happens behind the scenes at EnvisionCAD runs smoothly and efficiently. Jessica comes to EnvisionCAD from Filene Research Institute in Madison, WI. As membership and development manager, she secured donations to ensure cooperative finance institutions had access to and maximized the nonprofit’s research, innovation, and impact programs. Prior to that, she managed a comprehensive stewardship and recognition program and oversaw grants and fundraising events as part of Overture Center for the Arts’ development team. Jessica has also been the assistant director of the Wausau Center for the Visual Arts and coordinator for the Wausau Festival of Arts. When Jessica’s not working, she enjoys spending time with her husband and son, good eats, art, decorating and anything outdoors.